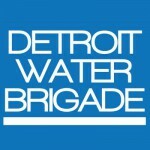 The WAF is an emergency relief fund to help low-income Detroit families that cannot afford their water bills. The Fund makes a one-time payment of 10% of past-due balance to restore water. ↑ Pick the items you'd like to buy.